The biggest billboard in Times Square right now belongs to Google, announcing the newNexus Player. A hockey puck-size device, it runs Android TV, which plays movies, TV and music — as well as games, apps and, ahem, TED Talks — on your television screen. Hence why, on this massive billboard, you can see our name and logo pop up occasionally. Our Android TV app shows the full library of TED Talks — all 1,900+ of them, with subtitles — and offers a cool little feature: Watch Anything, which picks a great TED Talk for you at random. Or you can use voice search within the app to find a talk that interests you. This reminded us: There are actually several ways to curl up in your living room with TED on TV, using gadgets you already own or might be eyeing. For those who’d rather go big andstay home, here are some options for your TED viewing pleasure. 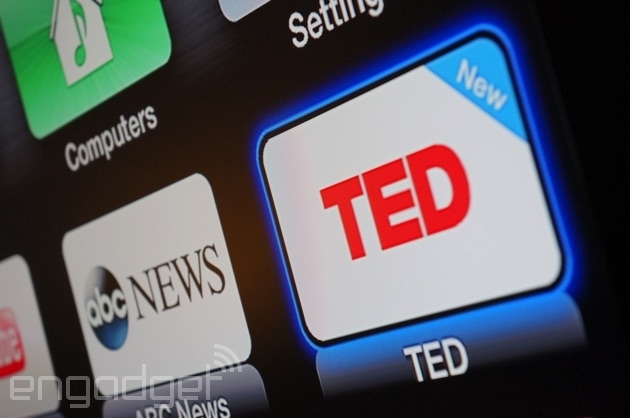 TED’s new Apple TV channel is designed for idea binge-ability. You can browse our full collection of talks, with subtitles, by what’s new or what’s trending, as well as by topic or by rating. You can also check out our expanding collection of 200+ playlists — when you finish one, another is instantly queued up for you. But perhaps the coolest feature: Apple TV syncs with your TED.com profile, so you can tag talks throughout the day to watch later at home. You don’t need to plug in a new piece of hardware for Samsung Smart TV — it’s built in. And TED is one of the many apps on offer. Through Samsung Smart TV, you can watch our full library of talks, with subtitles, and veg out while absorbing ideas. The Roku streaming player has an impressive variety of channels. Look for TED under the Science & Tech category — but do not fear, you can watch all of our talks on any topic you like. The Chromecast dongle is handy and cheap — just $35. You plug it into an HD TV and control it with your smartphone, tablet or computer. 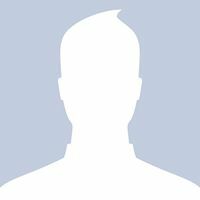 TED just released Chromecast support too — so if you update your iOS or Android app, you can zap TED Talks from your device to your television and enjoy them there. This is for our TED fans in Canada. Tune in to TED Talks on demand through the Optik app. Enjoy. Amazon’s streaming media player — which has big specs and connects to your Amazon account — has just started offering access to apps. You can expect TED to be among its offerings very soon. Stay tuned. More options soon. Thanks for sharing ! Really useful.